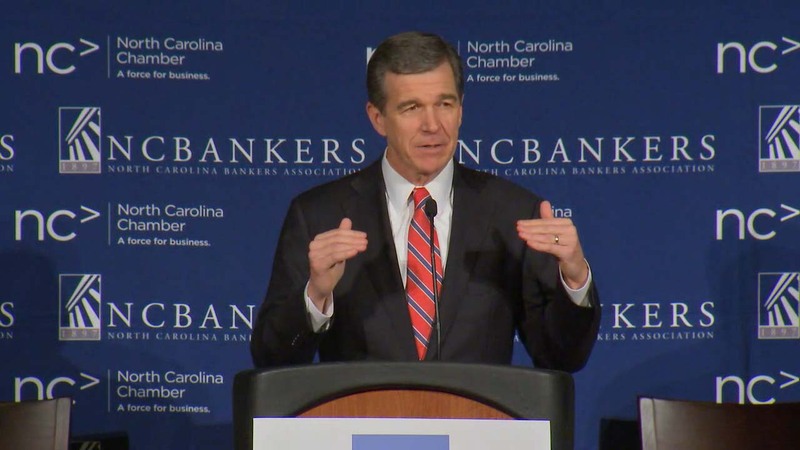 RALEIGH (WTVD) -- North Carolina Gov. Roy Cooper is in the middle of another showdown with a GOP-controlled legislature determined to weaken his power, this time by targeting his ability to shape the state's trial courts. He announced Thursday afternoon he has vetoed House Bill 100 which would make state trial court elections officially partisan again. "North Carolina wants its judges to be fair and impartial, and partisan politics has no place on the judges' bench. We need less politics in the courtroom, not more," said the governor in a news release announcing the veto. If the Republicans override his veto, it would mark a personal defeat for Cooper, who as a state Senate leader in 1996 championed the legislation that made elections officially nonpartisan for most trial judges. While Republicans hold veto-proof majorities in both chambers, getting the votes to override him in the House is uncertain, given previous tallies on the bill. Republicans were stung in November when Democrats regained a majority on the state Supreme Court for the first time since 1998. Despite the officially nonpartisan nature of the Supreme Court at the time, the party registration of each justice is closely watched. "If the governor believes 'partisan politics has no place on the judges' bench,' he should stop suing the legislature when he loses political battles," said Amy Auth, a spokeswoman for Sen. Phil Berger, the Republican leader of the Senate. "In the 2016 election, almost 800,000 fewer North Carolinians voted in the Supreme Court race than in the presidential race because they did not have enough information about the judicial candidates," Auth said. "Surely, Gov. Cooper does not wish to suppress voter turnout in our judicial races." The legislature's GOP leaders quickly took action in December - two weeks before Cooper took office - by passing a law making elections for the Supreme Court and the intermediate Court of Appeals officially partisan again starting in 2018. They had become nonpartisan in the early 2000s.